What is the most likely cause of the ECG changes above? 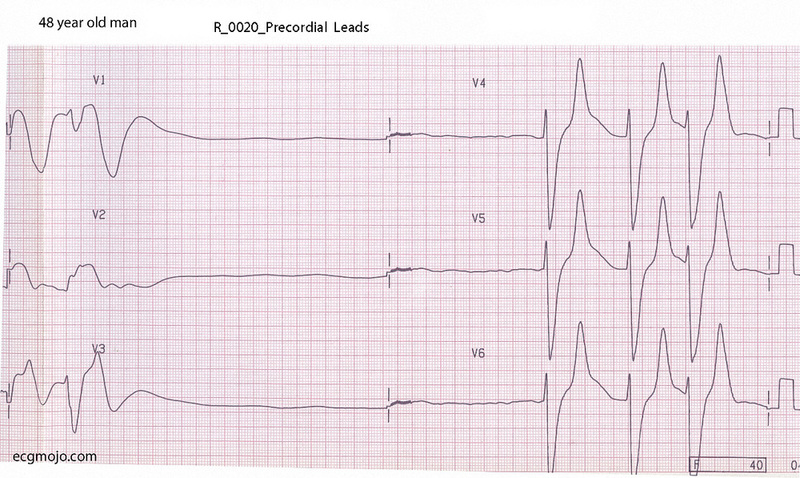 The QRS compleses in the frontal leads are widened (QRS width of 0.24 seconds or longer) and have a bizarre shape. P waves are not present, and the ventricular rate is about 28 beats per minute. The QRS morphology in Lead V1 has a sine wave shape, there is a long pause and the QRS complexes in Leads V4 to V6 have very tall and peaked T waves. The combination of a bizarre, broad and slow rhythm and tall and peaked T wave is very suggestive of hyperkalemia. The patient's serum potassium was 10.1 mmol/L.